The more you integrate keywords into your overall business strategies, the more success you’ll achieve. Instead of shaping words around articles, shape your articles around words. Target your content around keywords or ideas. PPC marketing works with keywords and keywords phrases. Make sure your advertisement is rich in keywords. 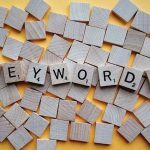 To find an angle for your article, consider using Google Adwords, or another keyword planner, to see which keywords are most likely searched. Then, write an article around these key phrases and terms. Use keywords throughout your website, marketing and advertisements – use keywords in your title, your subheadings and in your links. If you can, even use your keyword in your URL. Make sure your title uses the keywords you have chosen and is specific enough to be noticed by search engines.